Our arrival at Adisucipto (Adisutjipto) International Airport at 6 in the morning (7am Manila time) marked the 24th hour that we were awake. Being 8-5 corporate slaves, we still reported for work before we flew to Jakarta from Manila that evening. Exiting Yogyakarta's small airport, I was expecting a cool morning breeze but instead we were welcomed by humid and sticky air. 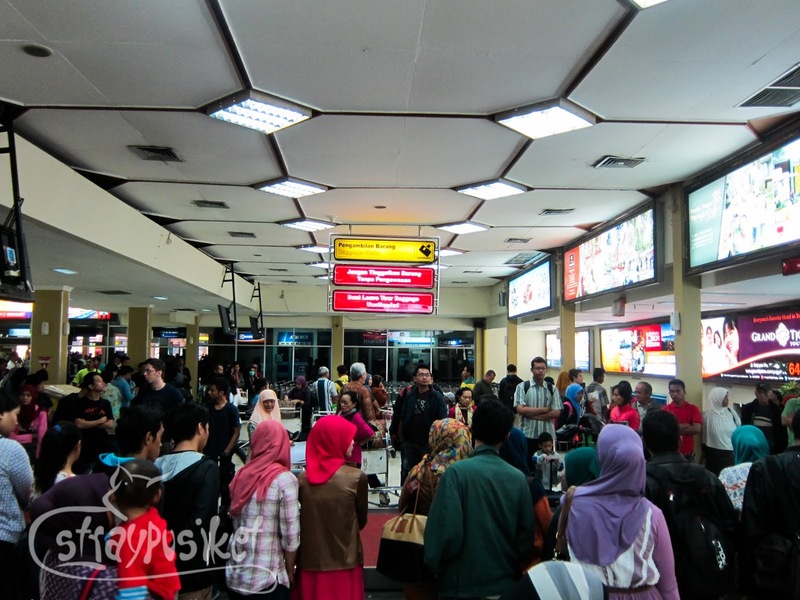 Outside the terminal, I immediately saw Wisnu among the locals holding a paper with my name on it. I approached him and introduced to him my friends. He didn't recognize me at first because he was expecting to see me with my long hair. He told us to wait while he gets his car at the parking lot. 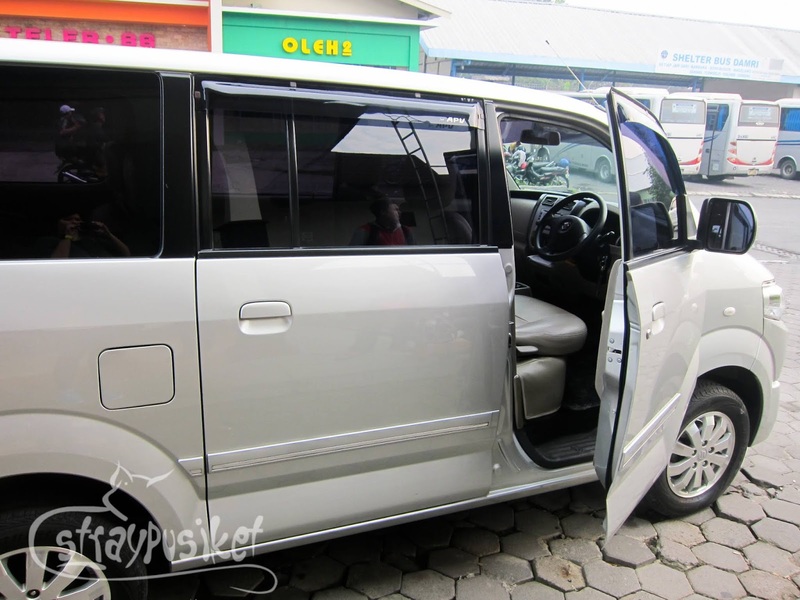 His car was a Suzuki APV big enough for us 4 and our luggage. First things first, we had to take our breakfast before the tour. So on our way to the city, we stopped over a warung to have our first Indonesian cuisine. 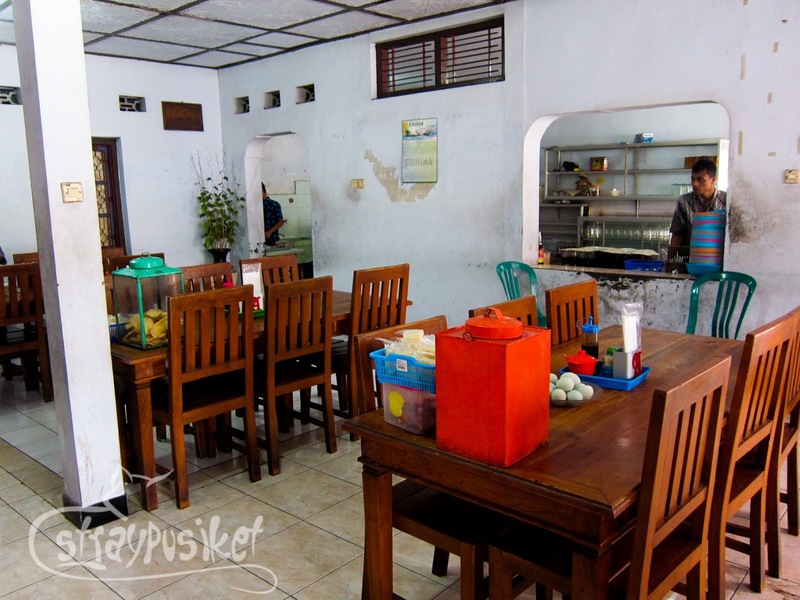 Warung is an Indonesian term for a small family-owned business. It can be anything from a sari-sari store to a small restaurant. We didn't knew what and how to order so we asked Wisnu for suggestions and let him order the food for us. I felt lucky to have booked the services of Wisnu as he served not only as our tour guide / driver, but also an interpreter. Indonesians don't speak English much. Soto Ayam is a spicy chicken soup with rice and vermicelli. It's a favorite breakfast among the locals. 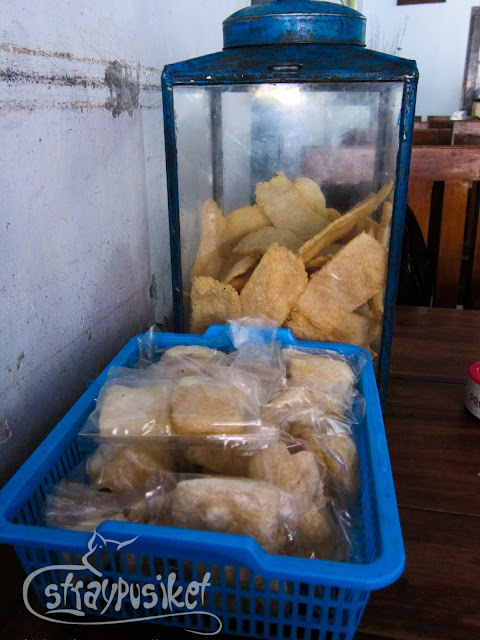 Emping is a type of Indonesian chips or Kripik or Krupuk. I'm pretty sure our Kropek was derived from those words. Haha. Every table has an Emping container. Just get how much you can eat, and the waiter/waitress will count after. Price is per piece. 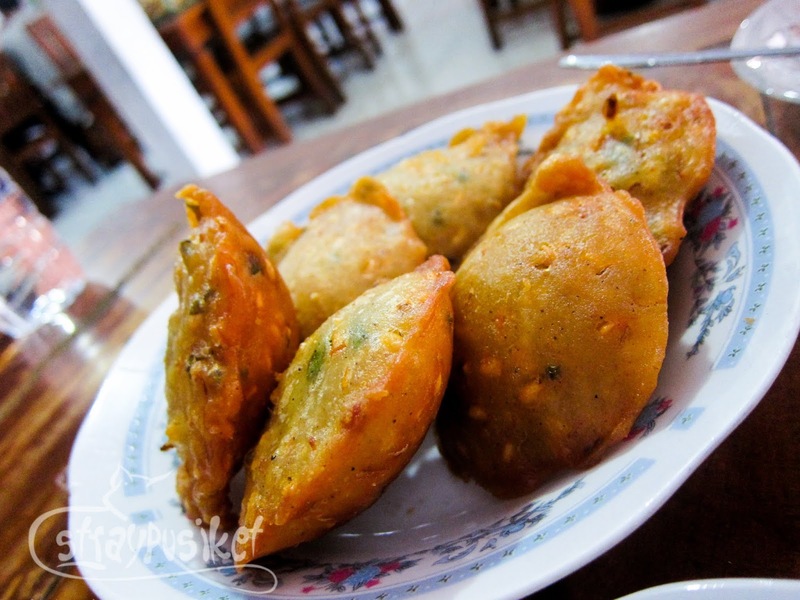 I'm not sure if this is the Pastel Goreng but it looks like an empanada. I couldn't remember what's inside but it's also a savory pie. Tempeh is also a fried snack made of soybeans but is harder than and has a totally different texture from tofu. 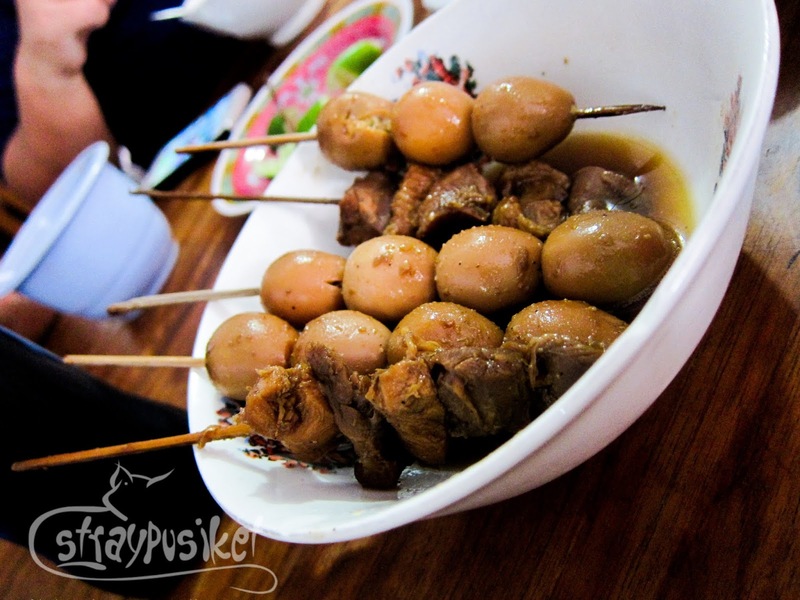 Gizzard and Quail Eggs Satay are also common sidedish for soto. 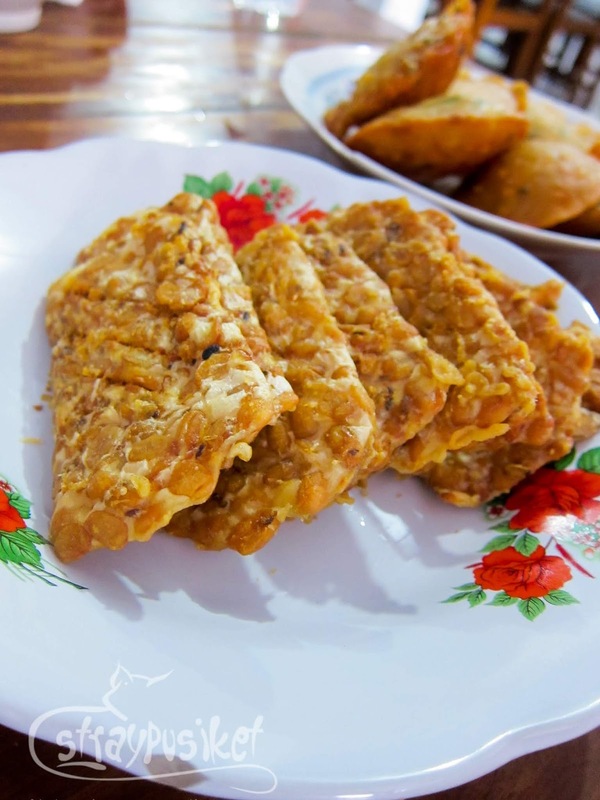 Unlike other barbecued satay, these are marinated in soy sauce and spices and boiled. We didn't finish everything that is served on our table. What amazed us is that we were only charged for what we consumed. Just like the Empeng, the rest of the side dishes are priced per piece/stick.